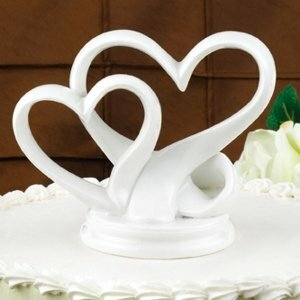 Hearts are one of the most enduring symbols of love so why not put a pair of stylish hearts atop your wedding cake. 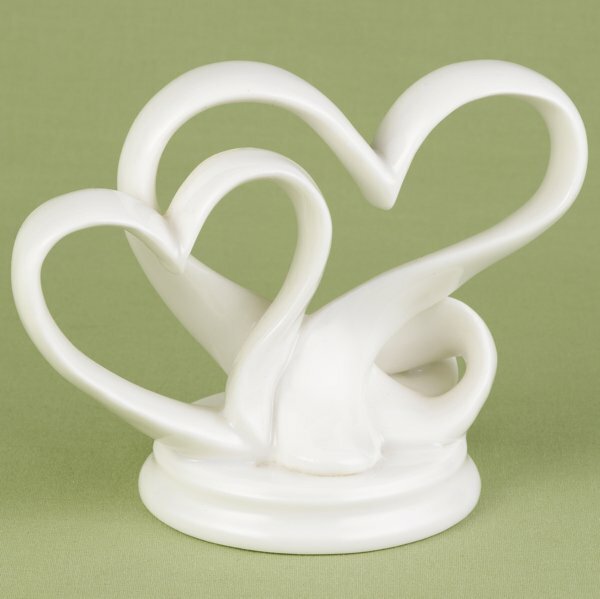 This 4" tall porcelain wedding cake topper features a lovely double heart design. 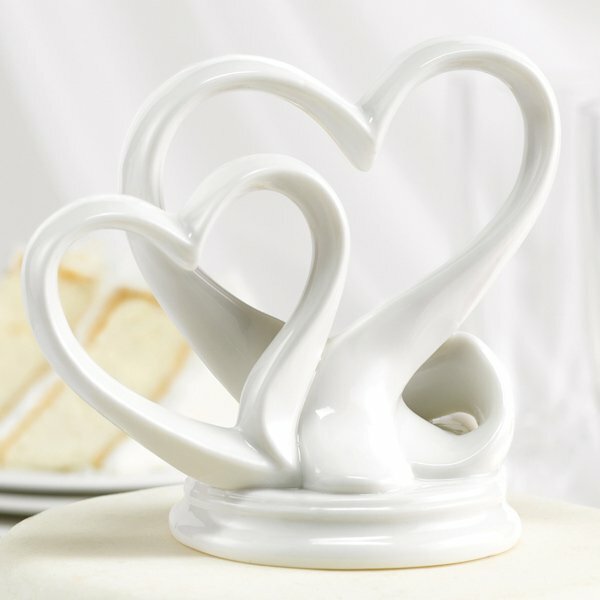 Best of all, the porcelain construction means that you can have a meaningful keepsake that you can display in your home long after your big day.